Can Popcorners Help With Your Diet? Great, but natural in the food market could mean just about anything. Gluten-free is great and so is non-genetically modified. However, how is it for losing weight or keeping weight off? The nutritional content says that it ranges from about 20-23g of carbs per bag small one ounce bag. If you want to lose weight, you have to keep your carbs between 50g and 100g a day. The closer to 50g, the better. If you are eating almost half of your daily allowance in a bag of popcorn (similar to the carb content of a bag of chips), then what the heck can you eat the rest of the day to keep your carb count down? One of my clients has stopped sugary carbs for a few weeks now and he no longer craves any of these things. He used to crave shakes, chips and french fries and it went away with time (withdrawal). Snacks should be protein-based. Low-carb protein bars or shakes, meat, low-fat cheese, eggs, measured out nuts, low-fat chocolate pudding, low-carb Greek yogurt, fruit, etc. Why not make an omelette with veggies and some low-fat cheese? I do that and it is really good. Get some good turkey bacon or sausage. 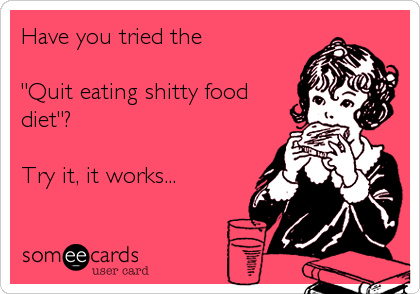 Stop eating processed foods from a bag. If it can live in your closet for an undetermined amount of time, it is probably NOT good for you. Even protein bars go bad after a while. Eat better food. Garbage in, garbage out. A reader was kind enough to write to me about my snacking on nuts issue and revealed her snacking on popcorn issue. I want to blog my response. I have stopped all nuts for now and only get nuts in my protein bars. If/when I return, I will have to measure and put in bags and only allow myself one of those bags a day. You have to measure and prepare. Now, as far as my opinion of popcorn. I haven’t had popcorn in years and I loved popcorn. It is the same as chips. 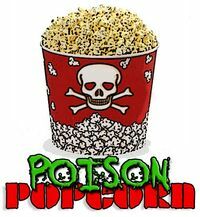 If you put out popcorn for mindless TV eating, you will just gorge on it. The best thing to do for TV viewing is cut up veggies (broccoli, cauliflower, carrots, etc) and a humus dip. You get full on veggies fast and you won’t eat as much as you would think. You could also do celery and peanut butter on them, but only put out a counted out amount. AND IF YOU WANT TO CHANCE HAVING AN AUTISTIC KID, EAT THINGS WITH POISON IN THEM LIKE POPCORN AND APPLES.